Within the Chamartín railway station and only 10 minutes from Barajas International Airport this Modern and inspirational business centre is ideally located and provides 2,750m² of furnished offices, which can be configured in the shape and size you need. Co-working space and meeting rooms suitable for up to 100 people are also available. It is surrounded by banking offices, hotels, shops and entertainment areas. Conveniently located in proximity of the airport, this brand new business centre offers office spaces of various size and a full range of business services, including virtual office services and business address, accounting and tax advisory, personal assistant and everything you may need to run a successful business. The centre offers parking facilities and is close to a shopping mall with restaurants, shops and cinema. This workspace solution is offering furnished offices on the first floor of an impressive office building in the heart of Madrid's finance and business district. The area has a wide range of restaurants, caféterias and hotels and is just beside Madrid's fair and exhibitions centre. Each office can be tailored to suit company needs and is fitted with modern technology systems that allow clients to start work immediately. The centre offers all the flexibility you need, so you only pay for what you need and you don’t need a large capital investment. The work spaces include fully serviced offices, virtual office options, co-working and meeting/board rooms. The office sizes range from 5 to 1000m2 and come fully furnished and equipped with everything you need for your working day. Offices are of a high quality and modern, with added benefits of communal spaces, reception and all-inclusive fees. Offering stunning, modern offices in the heart of Madrid, this business centre has a great selection of bright and spacious work spaces. The building offers access to a fully equipped kitchen with a dishwasher, fridge and microwave. You can also use one of 4 lifts within the building for easy access to each floor. High speed internet is available throughout the building to keep you well connected. The centre offers spaces ranging from as little as 5m2 to 1000m2. The spaces come fully furnished with modern pieces, and equipped with state of the art technology that will keep you connected and working effectively. You will also benefit from communal space, including kitchen, business lounge, break area and reception. A friendly and multilingual support team are available to help you throughout your working day, and a daily cleaning services will keep your work stations looking professional. Situated close to the airport in the area of San Sebastian de los Reyes, this centre provides a range of fully furnished offices, completely fitted out and ready for your business. Offering a range of support services and breakout areas. There are also training rooms and a kitchen where you can recharge. Within walking distance, you can reach a number of restaurants, shops, and a gym. Close by, there is a selection of hotels at which you can accommodate your clients. This business centre offers serviced offices at affordable rates in the heart of Madrid. The offices come fully furnished and on flexible terms. Being accessible 24 hours means this space is suitable for any kind of working hours. If you meet with clients often you can make use of one of the three on-site meeting rooms that can comfortably hold up to three, six or twelve people. Being located in the city of Madrid means you have everything you could possibly need day-to-day right on your door step! Located in the north zone of Madrid, close to major transport links, this completely new center provides fully equipped office space to suit your specific requirements. With a meeting room that can hold up to 70 people, cafeteria and multilingual staff, this center is ideal for a range of business types and sizes. There are many cafes and restaurants close by where you can entertain and impress your clients. This proactive community also enjoys a great number of parks and gardens where you can relax. This centre in Madrid provides a range of furnished office-space solutions available to let on flexible terms. Here, tenants can make use of the high-speed internet, meeting rooms, conferencing suites and reception area. There is also staff parking featured on-site, as well as 24-hour access to the building for all aspiring tenants. In addition, the local area is filled with many local amenities including several restaurants, bars and cafes. The train station can be accessed with ease as well, providing convenient travel around the city and wider regions. This small, quiet and well-managed business center provides high-quality office space at an affordable price. A range of support services is available, and the centre is in a very convenient location close to major roads and the airport. This workspace solution is the ideal location for those anticipating frequent travel or have overseas clients. Within walking distance, there are many restaurants and hotels where you can accommodate them. In the heart of Madrid this centre has been refurbished and provides ten offices and a meeting room with great natural light along with external views. There are private parking spaces and Wi-Fi Internet. This space is close to many restaurants and local amenities so you will have lots of options at which to accommodate and entertain your visiting clients. There are also lots of transport links close by so commutes are always straight-forward. Office suites from one to five people are available for immediate occupation. 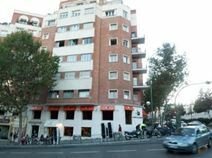 This is an excellent business address, surrounded by restaurants and hotels, and close to the famous Retiro Park. You are at close quarters with a great selection of mundane amenities at all times. This center offers high-end office space in a flexible and affordable business environment, with high ceilings, wooden flooring, a dining room, and meeting rooms. 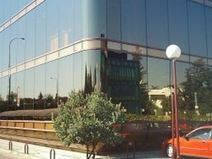 Housed in one of the most prominent buildings in La Moraleja this modern office building is only 2 years old and provides office space that is functional with flexible options. The centre is well located for public transport routes allowing clients to reach the La Moraleja metro in just 2 minutes and the train station and Barajas airport both in 10 minutes. This workspace is guaranteed to meet the needs of you and your company, with IT support and reception services for added convenience. Just five minutes away by foot, you can reach the beautiful Parque del Arroyo De La Vega, home of the Open-Air Museum. 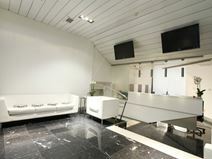 This amazing space is located conveniently close to Madrid Airport and next to the IFEMA Exhibition Center. It is an impressive space, with lots of natural light to enhance focus, inspiration and productivity. This space is equipped with a security system as well as parking onsite. In addition, the centre is close to a number of local transport links, as well as a supermarket, bank and fitness centre. This business centre in the Azca business district of Madrid, close to the Palace of Congress and the Santiago Bernabeu Stadium, offers a comfortable working environment to maximise your company's potential. There is a choice of offices and meeting rooms of varied sizes, these are equipped with the latest technology and furnished to each client’s needs. All offices are external with great views of the city as well as air conditioning and cleaning services. Located only 15 minutes away from Madrid Hall, this centre is in an ideal location. The space offers serviced office, coworking space, virtual office options and bookable meeting rooms. The centre is modern and professional, with plenty of natural light and excellent facilities. High speed internet and telephone lines keep you connected, with a friendly on-site administrative team to support you throughout the day. Communal areas include kitchen, reception area, break area and global access to business lounges. Offering modern office spaces in the heart of Madrid, this business centre offers a thriving community of international members and a refreshing way to work. You can choose from private offices and coworking spaces, including hot desking and dedicated desk options. Facilities include access to meeting rooms of different sizes, communal kitchen access and a break lounge space. The centre is surrounded by local amenities including public transport links and public car parking options. Whether you’re looking for office space, a quick meeting room, or just a place to plug in your laptop and work, you’ll feel right at home. When you join this centre you'll pay just one price and get everything included, from super-fast wifi to the stylish furniture. Just plug into the energy and watch your world accelerate. You will also have convenient access to Adolfo Suárez Madrid-Baraja Airport which is only 23-minutes’ drive and there is easy access to the M-30 and A-42 motorway routes. With fantastic selections of premium and modern office spaces in the heart of Madrid, this business centre is a fantastic locations for professionals to develop their business. With a dog-friendly policy and a range of amenities to make you comfortable, this is home away from home. Lounges are designed to be cosy with custom murals plenty of natural light. An all-inclusive fee ensures you are not caught out by hidden fees at the end of the month. The refreshing and modern office space is nestled away in a stunning building, surrounded by 19th century townhouses in the heart of Madrid. The building offers private offices, coworking offices and meeting rooms which are fully equipped. You can enjoy great views of the city from a roof terrace and use a business cafe on the ground floor. With 24 hour access you can work around the clock and the building is easily accessible with public transport links. The work spaces come fully furnished, are modern and maintain a professional and productive atmosphere. There is plenty of natural light to keep you energised, as well as tea/coffee in the communal kitchen to keep you going. Secure WiFi and telephone lines will keep you connected, and video conferencing facilities are available. There is also a manned reception with multilingual staff who can support you and your guests throughout your working day. Situated in the heart of Madrid's City Centre, this business centre provides both modern fully furnished office space and co-working options. The location is surrounded by a number of tourist hotspots and benefits from great public transport connections. Close by, there are lots of restaurants, cafes and historical monuments. You will surely benefit from the area's high footfall and ample opportunities to network with like-minded people. This workspace located in the heart of the Salamanca, a well known district of Madrid. 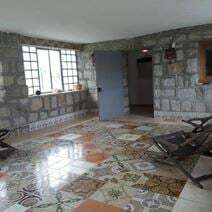 This centre offers co-working space where you can work, meet up and connect with other like minded people. The meeting rooms can hold up to 8 people comfortably. Surrounding areas offer many local bars, restaurants and cafes to make use of on either an evening or lunch time. Buses run through the centre often, connecting you into the heart of Madrid. Just two minutes away from the famous Palacio Real and Oriente Square Park this fully renovated beautiful, historic building provides bright and natural workspaces that has attracted an entrepreneurial community. The ideal solution for creative entrepreneurs and professionals. The centre offers a variety of spaces, including fully serviced offices, coworking spaces and virtual office options. Meeting rooms and board rooms can be easily booking via an app, and come fully technologically equipped for video conferencing. The layout of your offices can be configured to suit your tastes, and terms are very flexible to ensure affordability. You can scale up as your business grows, and one neat all-inclusive fee makes everything as easy as possible for you. Offering a range of great office solutions in the heart of Madrid, this business centre offers private offices, coworking lounges, meeting room access and virtual office options. Membership rates are flexible and affordable, with 24 hour access allowing you to work around the clock and at your own pace. The centre is located only 10 minutes away from the city centre of Madrid, giving you access to plenty of local amenities. This centre is situated on Calle de Maudes, a prime location in Madrid with great access to local transport links. This workspace offers office space on flexible terms as well as meeting and training rooms, and virtual office options; perfect for businesses of any background. The space offers access to meeting rooms that can hold between two and 150 people, fully equipped with training facilities. Less than 10 minutes away, there are many museums, historical monuments and cultural attractions to observe outside of work. A prominent location in the centre of Madrid, these furnished offices provide clients with a range of services including 24 hour access, telephone, internet and secretarial support. The offices are immediately operational and ready to enter. This period building also features telecoms fitted throughout the space for efficient communication and increased security. This space is also at close quarters to the Museo Lázaro Galdiano. Located in the heart of Madrid, within a landmark building, these office spaces have been recently restored to a high standard and equipped with state-of-the-art technology. They are provided with large meeting rooms, 24/7 access and internet connection, to offer an ideal working environment for companies and entrepreneurs. Surrounded by government institutions, companies and numerous restaurants and cafés, they are located within walking distance of the most famous streets of the city. Offering beautifully decorated and stylish office spaces in the heart of Madrid, this business centre has an impressive 4,000 sqm of space, divided into various units suitable for different sized teams. At an affordable rate and with flexible terms you can also access fully equipped meeting rooms, training rooms and communal spaces.. The centre is easy to reach with the nearest subway station only a short 4-minute walk away. Spread over two floors and inspired by Tokyo and New York, this office space has been transformed to provide more than 100 dedicated desks and hot desks, private offices, a large training room and event space just below Madrid's Retiro Park. The space is equipped with cutting-edge technology, allowing you to convene collaborative meetings with impressive presentation facilities. There is also a reception area so your guests will be impressed upon entry. This modern centre, located within Spain's capital city of Madrid provides private offices and co-working space within a community where you and your colleagues are empowered in ever way possible. There is convenient bike storage and easy access to the Iglesia, Quevedo and Alonso Cano Subway stations just minutes away, making it is easy to commute to and from on a daily basis. You will also have everything you need within the close proximity including many of the city's best restaurants, bars and galleries. This centre offers fantastic amenities including front desk service, private offices, unique conference rooms, a dog-friendly policy and onsite showers. The on-site management team are there for you throughout the workweek, greeting your clients and giving you personalised support and the cleaning crew helps keep common areas, meeting rooms, and private offices looking their best. With 10 private offices and two meeting rooms this exclusive boutique business centre is close to the Chamber of Deputies and the spectacular Church of the Jerónimos and as such is very well connected to local transport. Bilingual business support staff are on-hand to assist you within this beautifully designed historic building. It is just 8 kilometres away from the airport, perfect for overseas contacts. Within a completely renovated historic building, this business hub provides two meeting rooms and 12 private offices and offers support to your business in the form of highly qualified, bilingual staff on-site. Tenants have access to the space 24/7 and will be near the most emblematic streets of the city. Here, you can observe the Gran Via and Princesa and the main monuments such as the Royal Palace or Senate on your way to work! These offices are fully furnished and equipped to meet modern company requirements; built in a new glass office building the impressive exterior and comfortable interiors provide a prestigious address for companies in north west Madrid. The centre is close to the A6 motorway and provides access to the airport, making the location strategic and ideal for companies anticipating international clients. 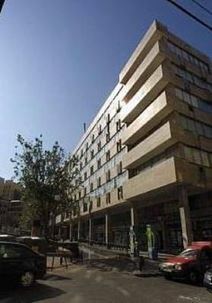 An impressive centre in the heart of Madrid, providing furnished offices available to let on flexible terms. Amenities included are spacious meeting rooms, high-speed internet, communal kitchen area, printers and scanners. The space is also complete with training rooms. Additionally, the location is perfect, situated in the bustling city-centre surrounded by local amenities and useful services. These include restaurants, hotels and bars. Transport links are also convenient, with easy access to underground and rail services all within walking distance. This is a place where you can connect with different entrepreneurs and companies. This centre is accessible 24-hours a day and benefits from bathroom facilities on each floor, air-conditioning, reception services, kitchen, meeting rooms & training rooms and breakout/lounge space. There are many places you can visit in the area such as Museo del Prado, The Arqueologic, Puerta de Alcala and Plaza de Cibeles which are all just 10-minutes away. This is the perfect workspace for companies that value practicality. Set one of the main streets of Madrid, close to América Avenue Transport Center this is a great area to work, surrounded by big companies, banks, cafés, restaurants, shops, gyms, etc. The centre offers more than 2,500m² of versatile and fully equipped spaces suitable for individuals and larger teams alike. Within walking distance, you can also reach many hotels in which you can accommodate your visiting clients and executives. 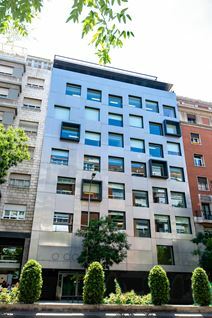 This centre is located in an exclusive, new building in the centre of the city of Madrid, situated on one the mains streets, Calle O'Donnell. Offices throughout the space range in size from 10 sq.m to 1.000 sq.m as well as 20 co-working desks available throughout the space. The area surrounding the centre are full of evrything you could need in the local vicinity including; public transport, bank offices, cafés, restaurants, shops, gyms and much more. Next to the biggest park in the city, El Retiro, where you can relax, walk or do sport. An impressive co-working centre situated in northern Madrid, providing a range of furnished office-spaces available on flexible terms. Tenants here can benefit from the high-speed internet connection, spacious meeting rooms, conferencing facilities and printing services. In addition, the local area is filled with plenty of useful amenities including local restaurants, retailers and services. Transport links are convenient as well, with great road, rail, metro and bus linkages available. Providing companies with a central location in the heart of Madrid's financial district this centre is an ideal location for doing every kind of business. The area is close to the Paseo de la Castellana and home to various embassies, ministries and banks as well as the famous IE business school which is just across the road. The centre has a choice of meeting rooms, data rooms, and training rooms and an impressive entrance hall and roof terrace with fantastic views of Madrid. Parking spaces are available to rent by the hour, day or month. 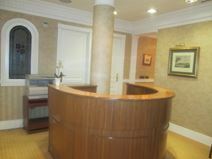 Found in the city centre of Madrid, this virtual office space offers a range of prestigious and professional services. Including reception services such as mail forwarding and telephone answering, you can work remotely on expanding your business without worrying about the little things. The business space also offers a variety of great services which are ideal for new start up businesses such as tax support, pay roll and access to a meeting room on-site. This serviced office centre is based in one of the city's best-known buildings, and offers many different options to suit the needs of the client. A good range of business support services is available, and the center is located at the heart of Madrid's business district. Restaurants, hotels and shops surround this prestigious business address so you will always have plenty of options within reach at which to entertain and accommodate clients. This business centre is set within a large glass fronted tower block, with stunning views across the city and great levels of natural light throughout the day. Here, there are spacious meeting rooms, conferencing facilities and a relaxing business lounge area. The centre is also accessible 24-hours a day and a friendly reception service are always willing to handle any enquiries that may arise. Situated in a thriving business hub, this centre is close to many large corporate bodies. Well connected in terms of transport, the train station is extremely proximate. Car, metro and bus routes are also numerous in the immediate vicinity. Local amenities surround the centre, with plenty of local restaurants, bars and cafes to be enjoyed. 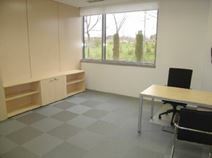 Located in one of the most desirable business parks in Pozuelo just 10km outside of Madrid. Exclusive four-story building with bright and modern offices which come in variety of sizes and distribution. There are also meeting rooms and training rooms available which can seat from 4 to 30 people. Directly opposite you will find El Corte Ingles shopping centre which features many popular shops, cafes, banks and restaurants. There is a selection of serviced offices, coworking spaces and virtual office options; where you can benefit from a prestigious address without a big capital investment. Serviced offices come beautifully furnished and fully equipped to keep you connected. Plus, the centre is only 12-minutes' drive from the international airport of Madrid-Barajas and it is a convenient three-minute walk to the Fuento de la Mora train station. This secure and accessible workspace solution features 24 hour access as well as a security system with fingerprint identification so you can work through any hour with peace of mind. It has a comfortable working atmosphere, with two equipped meeting rooms that can hold a maximum of 40 people. In addition, there is also high-speed internet provided so your company can remain well-connected. The surrounding area offers lots of hotels, restaurants and cultural attractions to visit. Located in the heart of Castellana which is Madrid's principal business district, these offices are furnished and offer a comfortable environment incorporating the latest technology. A range of office services are offered, including wired and wireless high speed internet access, video-conferencing facilities and courier services. Private meeting rooms are also available for renting, which can comfortably place 5-6 people with laptops, for a conference. Virtual Offices are also available. Situated on the Paseo de la Castellana this impressive modern office tower boasts 22 floors and is located in the heart of Madrid's business district. Aside from its outstanding views to the Castellana there are a range of facilities to benefit from including: common areas, a cyber café, meeting rooms with video conferencing, and parking. The centre is located within easy access of the M40 motorway and has many public transport links close by. A highly professional and modern office building that provides a great working environment. The centre offers a range of offices of different sizes that are immediately operational; the offices are fully furnished and equipped with modern technology. Located in the most prestigious area of the city the centre is in the heart of the Salamanca District surrounded by restaurants, cafés and hotels as well as being close to the main finance and business district. This business centre is opposite the local hospital and a short walk from the subway station. This is a contemporary glass-fronted business centre providing impressive office accommodation overlooking a wide tree-lined avenue. A comfortable and professional business environment, ready for your operations. Additional services offered in the centre include virtual office options, meeting rooms, board rooms and video conference facilities. Working spaces are ready for you to start working as soon as you want. In the heart of Madrid this centre is perfectly located very close to both train and underground stations; the area is thriving with shops, boutiques, restaurants and hotels at its doorstep. Offering a range of offices and office suites this centre provides a comfortable environment for business incorporating support services where needed. Furthermore, the office is complete with meeting rooms which effectively facilitate further collaboration and networking between current employees, departments and potential clients. 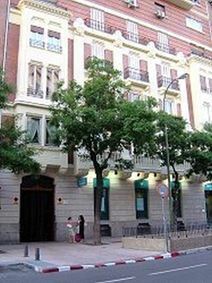 Housed in an elegant building in northern Madrid this centre offers a range of fully furnished and serviced offices. The offices are fitted with internet and telephone connections and clients are able to make use of meeting rooms and business support services. The area has good transport links and is close to the ring road and airport, making it ideal and strategic for companies anticipating international clients. It is located in the heart of Alcalá street, in Palazuelo Palace-House, a stately building from the beginning of the 20th century, designed by the famous architect Antonio Palacios. The business center in Madrid GSG Business Hub Alcalá - Cibeles offers the best services and solutions for your business in the center of Madrid. 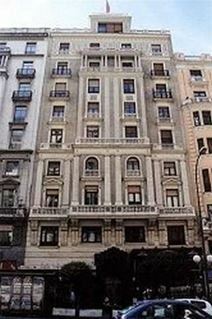 Its privileged location in the heart of the capital, next to the famous "tridente" (the confluence of Gran Vía, Alcalá street and Paseo del Prado) makes this stately building a guarantee of prestige and status for your company or your meetings . A well furnished centre in the heart of Madrid, its prominent location ensures that the centre has access to transport links as well as all the necessary amenities. The professional office spaces are fully furnished and equipped to meet high customer standards with all the latest technologies. There are lots of attractions close by, such as historical monuments, performing arts theatres and museums. Strategically located in the financial and technology district of Madrid, this brand new business centre is surrounded by international leading companies and luxurious attractions. The centre consists of first-class offices provided with spacious meeting rooms, SPA service, fitness zone, lounge areas and garden, all elegantly decorated and sophisticatedly designed. Equipped with secretarial and reception services, air-conditioning and the latest IT and telecommunication facilities, these offices offer a highly professional and prestigious working environment which will definitely enhance the image of your company. The centre is close to the motorway network and easily accessible. Just 5 minutes’ from the Madrid-Barajas airport this business centre is set in green surroundings in the Miniparc III near the A1 motorway. The area is home to a high percentage of multinationals and has its own shops, leisure centres, hotels and restaurants. 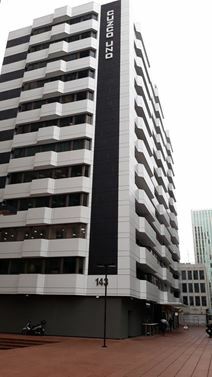 The centre is a unique three floor building providing offices with all the furnishings and equipment necessary for a company to start work immediately. These include: State- of-the-art-technology and communications systems as well as private parking. Centrally located in the Spanish capital, this business centre puts you right next to a renowned tourist hotspot. It’s a busy place to work, close to companies from finance, education, tourism and more. This gives plenty of opportunity for networking and expanding your business contacts. The centre is modern and sleek, offering plenty of work spaces including serviced offices, coworking spaces and virtual office options. Meeting rooms are bookable and come fully equipped for videoconferencing. You will also have easy access to copying and printing facilities. 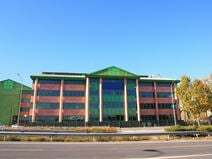 Housed in a modern office building this centre on the Glorieta Lopez de hoyos is well positioned for access to Madrid's city centre and the Barajas International Airport. The characteristic Barrio de Salamanca is one of the most important business districts in Madrid and provides clients with excellent transport routes. Charges such as disposal tax, water and electricity are all-inclusive here to ensure that you aren’t caught out by hidden fees. With impressive views of the Spanish capital from the 8th floor, this centre provides a range of serviced offices in a very desirable spot of Madrid. The centre is a part of a clean and practical building, with a professional and modern image that portrays you and your business. Being located on the 8th floors provides you with excellent views of the city skyline. Added benefits include use of communal spaces such as the kitchen, business lounge access on the go, and break spaces. The area is particularly popular with companies from the media, advertising and technology. This prestigious new development in Ciudad Lineal provides a professional yet peaceful working environment from a mix of co-working and private / open-plan office space. Tenants are supported by great on-site facilities including meeting rooms and multilingual receptionists. Situated close to M-30 highway, being only 10 minutes from the subway the center, and being only moments from the Adolfo Suarez Madrid-Barajas Airport, this centre has fantastic transport links. In one of the leading business areas in Madrid this business centre is located in the heart of the Salamanca neighbourhood. As well as serviced offices from one desk to six desks, there is also a coworking area available and a meeting room available upon request. There is parking onsite for easy access, and clients will also benefit from discounted rates for spaces. Close by, you will find metro stations for easy commutes. This centre is found in the financial district of Madrid, offering plenty of spacious and modern area which can be configured to your tastes and requirements. You can size up when your business grows, so you never pay for more space than you need. Video conferencing facilities are available in bookable meeting rooms, and you will also benefit from communal areas like the kitchen, break spaces and have global access to business lounges while you are on the go. Just 15 minutes from Barajas Airport and located in Madrid"s financial district this business centre offers fully furnished office space across a range of sizes to suit independent professionals up to multinational organisations. Most outstanding is a new concept of space, the Business Club, designed for reading, chatting and meeting in a relaxed atmosphere etc. Its chaises longues cannot fail to attract your attention and invite a change of perspective. An exquisite 18th Century palace which has been beautifully renovated to provide fully equipped and comfortable office space. The palace is located near 'Puerta del Sol' and the 'Milla del arte' in the heart of Madrid's old town. The centre is built into 2 floors with 5 professional meeting rooms incorporating original features as well as a Spanish style central patio that can be used to host unique business events. The 'El Prado Museum' is just opposite the centre and it is just 10 minutes’ from 'Atocha' train station and 17 minutes’ from Madrid Barajas Airport. The space is great for start-ups and forward thinking companies that want all the necessities required to propel their business to success. Amenities at this strategic site include access to printer/scanner, WiFi connection, secure car park, board room and kitchen. There is also secure parking on site. This is the perfect site for those anticipating frequent travel as it is highly accessible with many transport links within walking distance. This business centre is well situated in a prestigious business park with great access to professional amenities such as meeting rooms, on-site reception desk, training facilities and extremely high-speed WiFi. The building is also accessible 24-hours a day which injects flexibility into the work-place. In addition, the centre is well situated close to the financial district of Madrid with direct links to the city centre, airport and train stations. Local amenities can also be found in abundance including restaurants, banks, retail outlets and fitness clubs. This modern landmark building offers fully furnished and flexible office space and can be found in the heart of the Nuevos Ministerios business district. A friendly and multilingual on-site support team is available to provide help with administrative tasks, mail handling and call forwarding. You will also benefit from communal spaces such as a kitchen, break spaces and global access to business lounges when you are working on the go. In the heart of Madrid's business district this is a remarkable example of modern architecture, the centre is just in front of Santiago Bernabeu football stadium and next to Moda shopping mall; the area also benefits from excellent public transportation links in and around the city. With its prestigious location and impressive exterior this is a sought after office building and ideal location for doing business. This business centre is well located in a prestigious area of Madrid, close to governmental departments and bank headquarters. The area is complimented with hotels, restaurants and easy access to public transport routes; it is also just 10 minutes’ from Madrid-Barajas Airport. The offices are fully furnished, equipped and ready for work. There is a great deal of flexibility for clients to adapt packages to meet company requirements. Situated in the centre of Madrid, near to the city's financial district and congress centres, and within walking distance of the Real Madrid stadium, this serviced office is ideal for small to medium-sized businesses. Offering bi-lingual staff, high-tech infrastructure and comfortable office spaces, this is the perfect work space solution for companies that value practicality as well as accessibility. The IFEMA trade fair facilities are 10 minutes away by car. This center is situated in the financial heart of Madrid, and offers a stylish and functional business environment ideal for a range of business types. This center provides high quality serviced offices with good natural light and high-end furniture. You will also benefit from a spacious lounge area where you can have a coffee, meet a client or have a presentation. Highly accessible, this center is also close to many shops, bars and more. 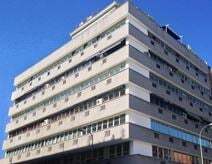 Located in a hub for business on La Castellana this business centre is located on the seventh floor of this prestigious building. Views across the Madrid skyline are sure to impress guests and clients while the fully furnished offices have temperature control for comfort. This business centre offers to its clients the highest quality offices, with full equipped furniture, common areas like kitchen, business lounge, and reception area with multilingual receptionists and all common charges like building fees, disposal tax, water, electricity. No investment is required and you can start working at the moment needed. verything is prepared to enhance tranquility, confidence and efficiency. This exclusive office space can be found at the top of this skyscraper, opposite the Estadio Santiago Bernabeau, in Madrid's financial district. Office space starts from 18m² while a number of private meeting rooms are also available to tenants. Within walking distance, there are many local attractions such as concert halls, museums, shopping centres, restaurants and hotels. This is a business center situated in an exclusive modern offices building, offices with natural light and direct parking facilities. This business center is located in the heart of Madrid financial district, in Cuzco’s Square, with direct access to Paseo de la Castellana. This Business Center offers you five floors with more than 5,500 sq. ft. and 90 parking spaces, so to enjoy the rental of your office or meeting room in a strategic location in Madrid, surrounded by the most important companies and with a wide range of services in the close vicinity: restaurants, taxi, shopping center. These private and fully equipped offices and workstations have impressive views form the 18th floor of this modern office tower in the heart of Madrid's business district on Paeo de la Castellana. The centre is very flexible and terms can be adjusted to ensure they suit your needs and your budget. There are several excellent on-site facilities, including common areas like the kitchen, break areas and business lounges. Surrounded by beautiful landscaped gardens. Teams of every size and industry love this location’s seven floors of dedicated coworking space, complete with cozy lounges, sleek conference rooms, and private offices you can make your own. After work, admire the incredible architecture of Sorolla Museum, or head over to Plaza de Olavide for team drinks on an outdoor terrace. Bike racks are also available for those who would rather get a workout in before the morning meetings. With flexible terms and all-inclusive pricing you can move with peace of mind that there will be no unexpected costs each month. This brand-new business centre located in the central business district of Madrid has a huge range of high-end facilities and boasts everything from co-working space to private offices. Bike racks are also available in addition to Nuevos Ministerios train station, just three minutes away. Located in the heart of Madrid, the business centre itself offers many local amenities which can be found within walking distance. At this highly adaptable space, you can also make use of a meeting-room equipped with optical fibre, AV equipment and fully fitted kitchen. The building is extremely secure with entry only permitted by fingerprint. There are many fitness suites within the area where you can stay motivated. An impressive centre located in a vibrant area of Northern Madrid, this centre provides furnished office-spaces on flexible terms. Amenities here include spacious meeting rooms, business lounge, high-speed WiFi and fresh barista style coffee. A reception is also available to greet clients and handle admin duties. The building is open 24-hours a day, allowing those who work with overseas clients to conduct business uninterrupted. Transport links are numerous in the immediate vicinity, the Rosario Pino bus station is over the road, whilst the Cuzco underground station is a short 5-minute walk. Combining old Madrid architecture with a fresh and modern interior, this business centre creates a dynamic atmosphere for professionals, with a selection of great office solutions. You can take a private office, desks in a co-working space, and easily book out meeting rooms. You can even benefit from this convenient location using virtual office options. Offices are fully furnished and well equipped, with ergonomic furniture and high speed internet. Offering brand-new co-working spaces in the financial district of Madrid, this business space provides excellent amenities and facilities to professionals. The building has an excellent selection of common areas, hot desking options and access to fully equipped meeting rooms. You can also benefit from the convenience of on-site restaurants and cafes. The building boasts a beautiful reception with full services from a dedicated and professional on-site management team. Located in the central west part of Madrid, this centre benefits from direct access to the M30 motorway. The airport and is also positioned close to the famous Parque de Retiro, which provides a beautiful and relaxing backdrop for business. The centre caters to a vast range of needs by providing modern offices that are fully furnished and equipped with the latest technology. You can also benefit from a secretarial team that will manage your visiting clients. An impressive centre situated in Madrid, providing furnished office-spaces available to let on flexible terms. Here, tenants can make use of the high-speed internet, common areas, spacious meeting rooms and coffee areas. Work-spaces here also benefit from plenty of natural light throughout the day. The surrounding area is filled with numerous local amenities including restaurants, bars, cafes and hotels. As well as many options for enjoying time spent outside of the office - from this prestigious location, travelling could not be easier. Train stations, bus routes and metro are within easy reach. Located in the modern Chamartín area of Madrid this centre has a range of office spaces available from 5m² all the way up to 1,000m². The offices are housed within a contemporary Class-A office building and surrounded by major national and international companies, and are wonderfully located in an attractive building on the Glorieta Lopez de Hoyos, very close the corner of Principe de Vergara street. This centre is only 5 minutes’ drive from the Madrid Barajas Airport with access to the M40 and A10 motorways. It is next to Madrid's famous exhibition and fairground centre IFEMA and located in the emblematic area of Campo de las Naciones. The ground floor of the building is a convention centre and provides common areas in which to relax and choose from a variety of meeting rooms; there is also public parking and a restaurant. The offices are fully equipped and vary in size to accommodate each company individually. With great access to Madrid, this centre offers a variety of working spaces, including fully serviced offices, virtual office options, coworking spaces and bookable meeting rooms. The offices come fully furnished, with modern style and are configurable to your tastes. You can take as little or as much space as you need, and all-inclusive fee makes everything even easier for you so you’re not caught out by hidden fees at the end of the month. A selection of offices is available to let in Madrid and Barcelona, both well served by public transport and well connected to the airport and to the motorway network. These offices offer flexible solutions to accommodate the needs of companies and entrepreneurs and enjoy exclusive locations. This centre is central, luminous, elegant and perfectly communicated centre that manages to give to clients a welcoming business/commercial environment. The building of the business center in Madrid GSG Business Hub Serrano dates from 1895 and has numerous architectural and ornamental elements protected by National Heritage. It retains most of its original characteristics, which make it a space where the distinction and elegance that only the passage of time and respect for tradition can confer are "felt". The height of the ceilings, the chimneys, the moldings, the vintage latches and hinges, the marbles and the parquet floors create a palatial and exclusive environment. The centre offers a range of working spaces including office suites, coworking spaces with hot desking and virtual offices, where you can benefit from this prestigious business address. Offices have an abundance of natural light to promote productivity and keep you refreshed during your working day. The centre is easily accessed via the subway station of Atocha Renfe and only four stops from the center. Located in a granite-built house in a semi-rural area just outside of Madrid, this house offers a range of flexible units located along one corridor - allowing for the opportunity to expand your space as required. Units have accessed to a shared kitchen and bathroom facilities, as well as a large garden and on-site parking. On-site staff are available to support you. A petrol station is just outside of the private road on which the building is located and local shops are easily reached. Fully furnished and serviced offices in a prominent location in the centre of Madrid; these offices provide good communications and meeting facilities as well as a knowledgeable and friendly team of support staff. Furthermore, you can take advantage of this centre's 24-hour access, comfortable working environment and beverages provided on site. Its central location ensures that good transport links and all amenities are close by for your convenience. 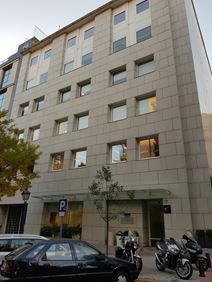 In a unique location in the heart of Madrid's business and commercial area this business centre offers luxury and high quality facilities and services. Over the years, since 1996, it has built a portfolio of over 300 clients consisting of national, international companies and also individual professionals. Its services are incomparable offering: Spanish-English secretarial services, a courier service, legal consultancy, translations, as well as organising events and travels arrangements and much more. Offices are fully furnished, decorated and equipped and the centre prides itself with highly representative meeting rooms with the capacity to host up to 300 people. 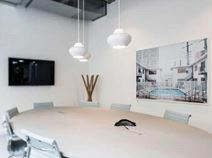 Centrally located in Madrid's business district, in an area which hosts numerous leading companies, this business centre consists of office spaces fully furnished to a high standard and equipped with state-of-the-art technology to offer you a highly professional and efficient working environment. They are provided with a full range of administrative and maintenance services to support your business in your daily activities. Excellently served by various public transport routes, this business centre is easily accessible and offers a convenient prime location. Within a unique building of neoclassic structure and exceptional quality, this is the ideal location for the permanent home of your business. This prestigious Madrid location is much sought-after and provides fully equipped office space and conference rooms. There is also an on-hand business support team to help out. This centre is especially ideal for companies with international clients and may need to communicate across different time zones, as it is accessible 24 hours a day, with an abundance of hotels at close quarters to the space.